Fire ants constitute over 200 species of ants. These red-colored ants are found all over the world, but mostly in the tropics. Fire Ant Stings can be painful and produce allergic reactions in some individuals. What is Fire Ant Stings? What are the Causes of Fire Ant Stings? What are the Signs and Symptoms of Fire Ant Stings? The severity of the symptoms also depends on the number of ant bites. How is First Aid administered for Fire Ant Stings? Who should administer First Aid for Fire Ant Stings? The individual who is affected, or someone nearby should administer initial first aid, following which one should seek appropriate medical help. What is the Prognosis of Fire Ant Stings? How can Fire Ant Stings be Prevented? Wurm, Y., Wang, J., Riba-Grognuz, O., Corona, M., Nygaard, S., Hunt, B. G., ... & Dijkstra, M. B. (2011). The genome of the fire ant Solenopsis invicta. Proceedings of the National Academy of Sciences, 108(14), 5679-5684. Havaldar, P. V., Patil, S. S., & Phadnis, C. (2012). Anaphylaxis due to Red fire ant bite. dos Santos Pinto, J. R., Fox, E. G., Saidemberg, D. M., Santos, L. D., da Silva Menegasso, A. R., Costa-Manso, E., ... & Palma, M. S. (2012). Proteomic view of the venom from the fire ant Solenopsis invicta Buren. J. Proteome Res, 11(9), 4643-4653. Fernald, H. T. (2014). The little fire ant as a house pest. Journal of Economic Entomology, 40(3), 428-428. Wetterer, J. K. (2011). Worldwide spread of the tropical fire ant, Solenopsis geminata (Hymenoptera: Formicidae). Myrmecological News, 14(1), 21-35. Tartibi, H. M., Majmundar, A. R., & Khan, D. A. (2010). 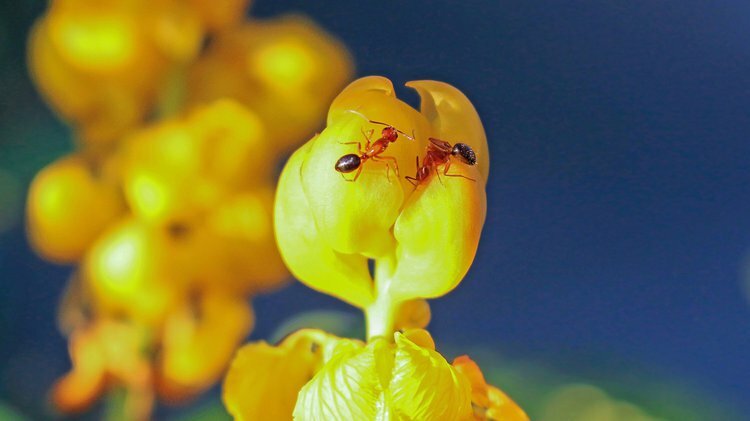 Successful use of omalizumab for prevention of fire ant anaphylaxis. Journal of Allergy and Clinical Immunology, 126(3), 664. Borer, A. S., Wassmann, P., Schmidt, M., Hoffman, D. R., Zhou, J. J., Wright, C., ... & Marković-Housley, Z. (2012). Crystal structure of Sol i 2: a major allergen from fire ant venom. Journal of molecular biology, 415(4), 635-648. Vonshak, M., Dayan, T., Ionescu-Hirsh, A., Freidberg, A., & Hefetz, A. (2010). The little fire ant Wasmanniaauropunctata: a new invasive species in the Middle East and its impact on the local arthropod fauna. Biological Invasions, 12(6), 1825-1837.